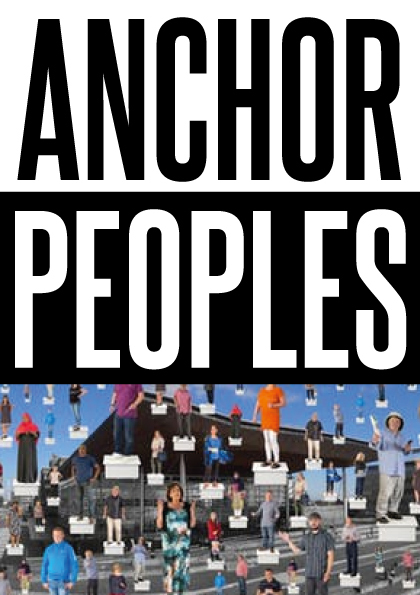 ANCHOR PEOPLES is an immersive artwork illuminating the post Communities First settlement within the cantrefs of North Merthyr and Riverside, Cardiff. The launch at the Senedd in Cardiff Bay will provide an opportunity for conversation and conviviality. Created specially by ARTSTATION in association with 3Gs, Merthyr & South Riverside Community Development Centre (SRCDC), Cardiff. Anchor Peoples is an Artstation photo/sound artwork commissioned by Productive Margins; curated by Christopher Coppock and co-produced with Dr. Eva Elliott, Allan Herbert, Mel Jones & David Frayne and community members from 3Gs and SRCDC in 2017/18. The Productive Margins programme (2013-18) is a Connected Communities (AHRC/ESRC) research collaboration between the Universities of Bristol and Cardiff and community organisations in Bristol and South Wales. Anchor Peoples emerges from a project which was part of a research programme entitled Productive Margins: Regulating for Engagement 1. The term productive margins embodies an understanding that people and communities excluded from participation in the regulatory regimes that impact upon their daily lives have expertise, experience and creativity that can be politically productive. It was a programme that sought to co-produce research projects that mattered to the community partners that participated. The two community partners in South Wales — South Riverside Community Development Centre (SRCDC) in Cardiff and 3Gs Development Trust in Merthyr Tydfil — were created by local people for their local communities 30 and 40 years ago. They developed ways of working that earned the trust of many of the people they both lived with and served. As community organisations, anchored in the everyday lives of the people around them, they became the vehicles for the local delivery of the Wales’ flagship regeneration (and latterly) anti-poverty programme, Communities First. The Communities First programme, launched in 2001, reflected a vision for a new Wales where ‘community’ was not just seen as a nostalgic fiction, but real and with transformative power. In its origins it spoke of the need for a change to the regulatory processes that shape the relationship between citizens and the state. Both organisations were pleased to be part of the Communities First programme, believing that this would place their communities at the centre of national efforts to address inequality and, by extension, to reduce poverty. At the margins no more. The national and the local in one holistic space. However, whilst the government’s visionary promise eroded over the years, the people working in these, and other, community anchor organisations continued to develop the knowledge, skills and networks that kept their communities afloat through times of economic hardship and austerity. On the 13th October 2016 the BBC Wales website announced: “Communities First anti-poverty scheme is to be dropped”. This is how community development workers across Wales first learned about their fate. The final Productive Margins research project is a witnessing of the storm that these organisations have laboured to weather. It is also a testament to the craftwork, skill and expertise of community development which is in danger of being lost to many communities across Wales. The research was conducted through interviews and participatory workshops with people working for the community organisations. Monthly research group meetings were also recorded so that the experiences of the organisations, their staff and their communities could be tracked through the phasing out of Communities First. Artstation was commissioned to work with Productive Margins’ research texts, a process it was felt could help capture and communicate more abstract but powerful meanings and feelings behind findings — to policy makers and a wider public — that lie dormant in the realm of dry academic research. In responding to this, Artstation has evolved a complementary but provocative artwork where poetic language, captured in giant portraiture and sound, takes an untrammelled and metaphoric leap, repositioning particular and implied ideas in the public realm. This effectively shifts key moments of the research into an imaginative space of new associations, where the human and the personal loom large. These giant portraits stare, they laugh they provoke and they speak. They are at once representations of individual, real, people but collectively they are a life force of Community, an increasingly ‘endangered species’ in the bureaucratic conformity and indifference of institutional regulation and control. In this way the installation attempts to valorise, giving people working at the heart of our most deprived communities in Wales, a voice. Moreover, the work explores the politics of representation and provides a contemplative space to confront the meaning of loss. The installation upholds the position of sousveillance, returning a critical gaze back to Welsh government — who made the decision to foreclose on Communities First. Each formidable standing portrait has a QR code on its back hanging from bespoke Anchor Peoples lanyards which allows mobile phone access to recordings of individual member’s voices. Earphones provide an immersive walk-about soundtrack, a composition of all our anchor peoples’ voices and their clarion call. Listen to their stories. They speak of the promise of change and the devastation of the loss of a programme that enabled them to make a real, and felt, difference to people’s lives. So what is the future? A huge amount has been made possible by a few really key people who hold the community anchor in place. Will the state have to start all over again to build ‘empowerment’? These battered and beleaguered organisations could still be part of the delicate eco systems which underpin the new vision of Wales: the Wellbeing of Future Generations Act. There will always be community anchors and they will continue to speak and serve. So how do we as academics, as community members, as service providers, as Public Service Boards, as policy makers and as politicians RESPOND? 1 Productive Margins: Regulating for Engagement was a 5 year co-produced research programme involving community organisations and social enterprises in Bristol and South Wales and academics from the University of Bristol and Cardiff University. It was funded by the Economic and Social Research Council in partnership with the Arts and Humanities Research Council.